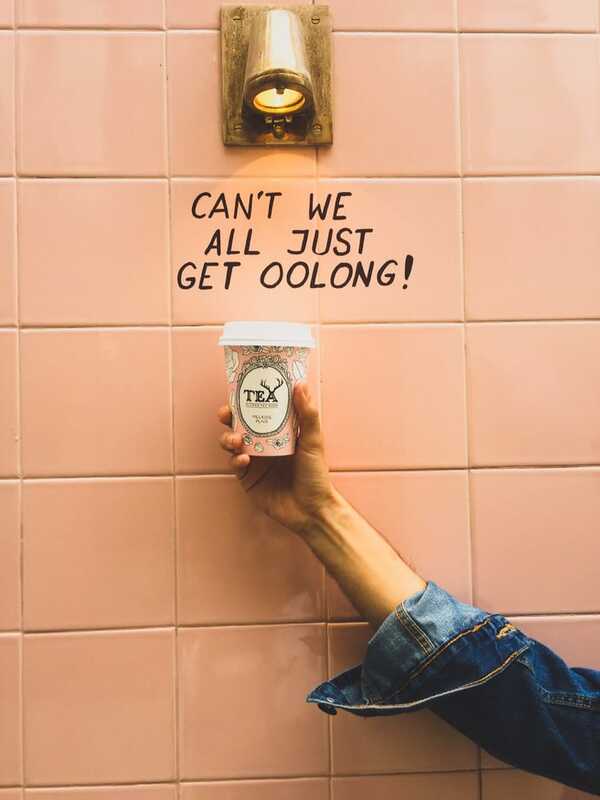 It’s hard to say if people come here for the tea, the tea-themed puns or the photo ops, but can you imagine the endless opportunities for impromptu photo shoots? And this is just the outside; Wait until you see the pink motif inside Alfred Tea Room. Do you ever need a reason not to drive through a giant donut? If the drive through wasn’t enough to draw you into Donut Hole, consider going inside for their novelty donuts; Cap’n Crunch flavored donuts, Hot Cheeto-topped donuts, the iconic Texas Donut. I mean the list goes on. Located at The CAMP shopping center in Costa Mesa, East Borough is a quiet Vietnamese spot tucked away from the bustle of Orange County. 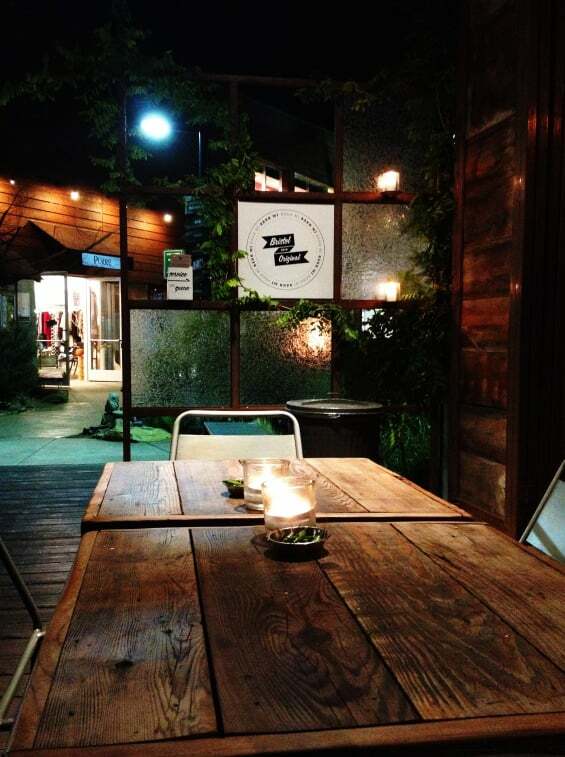 The open air design of the restaurant coupled with a garden, craft beers and strings of tea lights make for a hip night out. Show off your school spirit while you’re on a mission to step up your Insta-game. 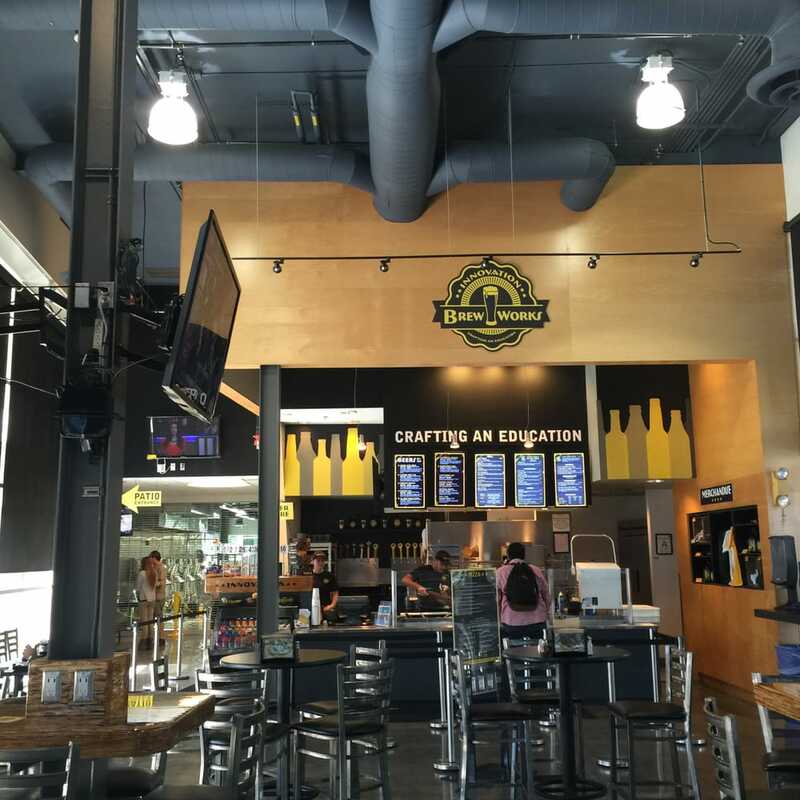 For those of you who are 21 or older, you can enjoy craft brews from your fellow Broncos at Innovation Brew Works off Temple Ave. Whether you’re snapping photos of the life-size Jenga, the growlers or just your favorite brew, this spot is a must. Sure, Afters is great but have you been to Milk? 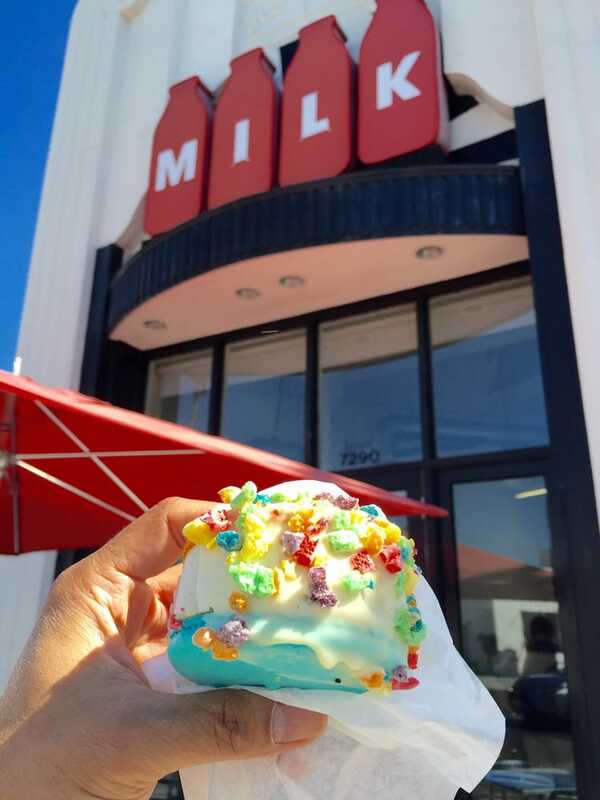 Known for their hand-dipped ice cream bars and ice cream sandwiches, Milk’s dreamy little confections are sure to blow up your notifications. And did you see their milk carton-themed sign out front? Aside from stores like Zara, Topshop and Nordstrom’s, The Grove is also home to the Original Farmer’s Market. Established since the 1930s, this open-air market is arguably the most iconic farmer’s market in all of Southern California. Whether you’re in the mood for homemade ice cream at Bennett’s or you want to load up on retro candies at Magic Nut and Candy Company, you won’t run out of inspiration for #foodieadventures. Natural juices are a thing right now, and Los Angeles does not have a shortage of juice bars. 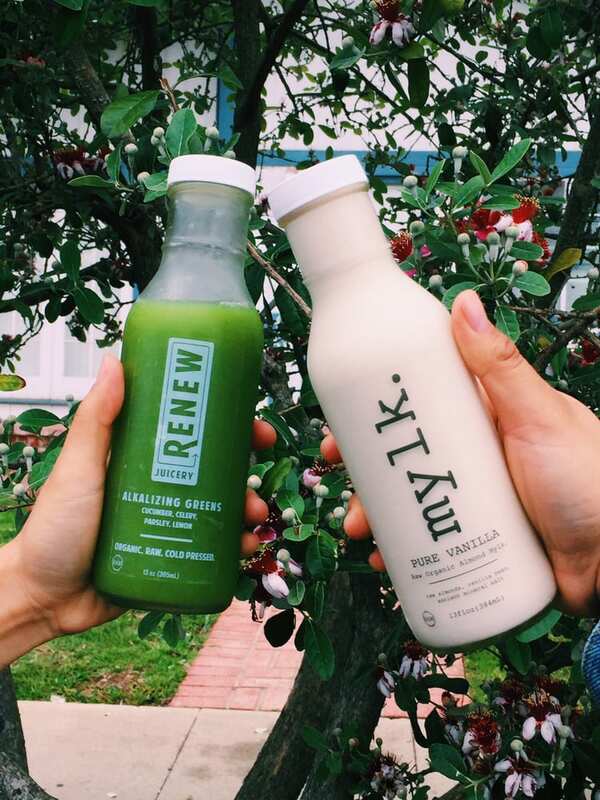 Take note of Renew Juicery, an all-organic juice and almond milk shop. Take home anything from honey vanilla almond milk to super root juices, all packaged in these minimalist glass bottles. Doughnut shops are winning the ‘gram right now. Step up your feed with a visit to Sidecar Doughnuts & Coffee. 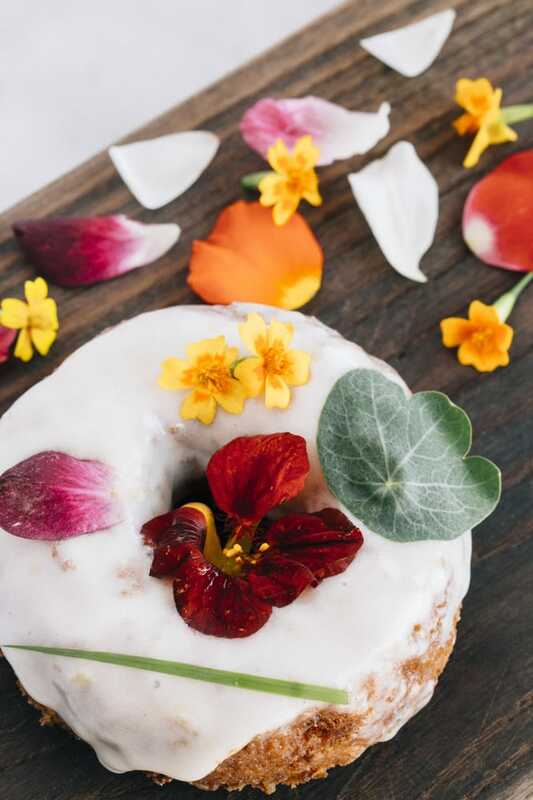 Among their top choices are the country ham and egg doughnut, blood orange and garden cake. You can also pick up some house-made soda! Anything that’s approved by Danny Trejo is cool with me, especially his taco shop Trejo’s Tacos. Trejo’s face adorns everything here from the hot sauce to the sign overlooking La Brea Ave., and the food runs circles around your average taco joint. Santa Ana’s historic 4th Street is home to hipster venues and art galleries like The Yost Theatre and the now iconic 4th Street Market. Grab photo-worthy lobster fries from Dos Chinos, fresh fruit popsicles from Front Porch Pops and more! 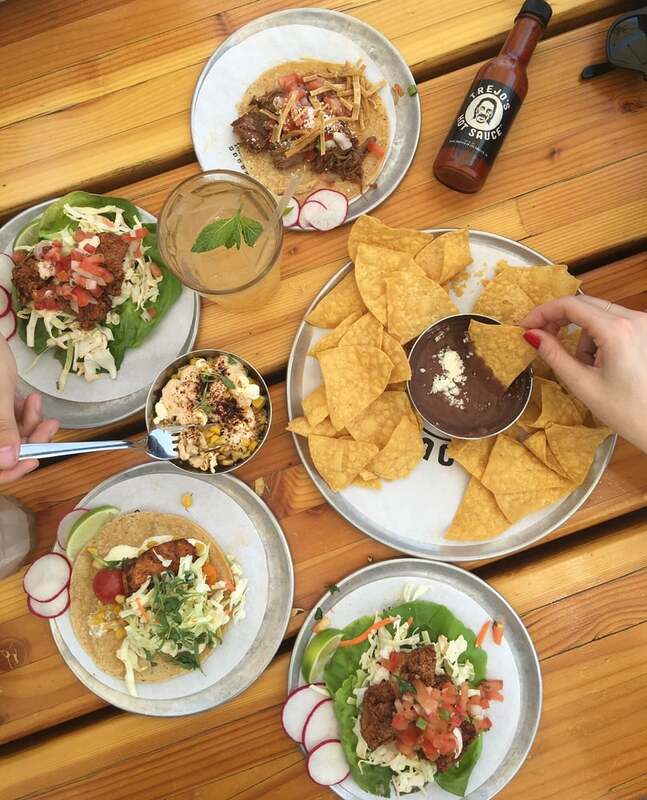 What are some of your favorite foodie joints? Share with us using the hashtag #CampusCropChat on Facebook, Twitter and Instagram. Follow us on Snapchat @ASICPP!